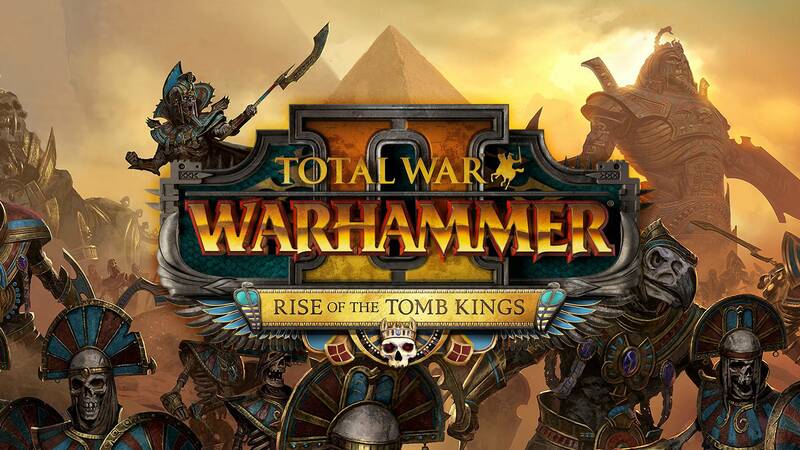 FEATURES: New Tomb Kings Race playable in both the Eye of the Vortex and Mortal Empires campaigns Unique Race mechanics inspired by the Tomb Kings lore 4 new playable Legendary Lords: Settra the Imperishable, High Queen Khalida, Grand Hierophant Khatep and Arkhan the Black Gather the cursed Books of Nagash and win the battle for the Black Pyramid to achieve ultimate victory Uncover the mysteries of the past by researching the Nehekharan Dynasties Tap the Realm of Souls to regenerate your troops and summon Ushabti in battle Combine exotic trade goods and Canopic Jars – the Tomb Kings' unique resource – to craft magic items and raise fabled Legions of Legend at the Mortuary Cult Comprehensive army roster featuring iconic units from the Warhammer Fantasy Battles world Across the arid deserts of Nehekhara, vast legions of skeletal warriors rise from beneath the baking sands to slaughter those who trespass into their domain. It is a lifeless realm of endless dunes, stained red from the blood of savages and barbarians. This is the Land of the Dead, where mummified kings are cursed to rule in perpetual unlife. But it was not always thus. There was a time when the ancient kingdom of Nehekhara stood as a crown of human civilisation; a golden age when its cities shone with majestic splendour, its armies conquered entire nations and its kings ruled as gods among men. But this realm was razed millennia ago by the treacherous sorcery of reviled Nagash: in a stroke, the living perished and the dead rose from their tombs. Death is no barrier to glory for the Tomb Kings however. In unlife, they will see the empire of Nehekhara restored to greatness!